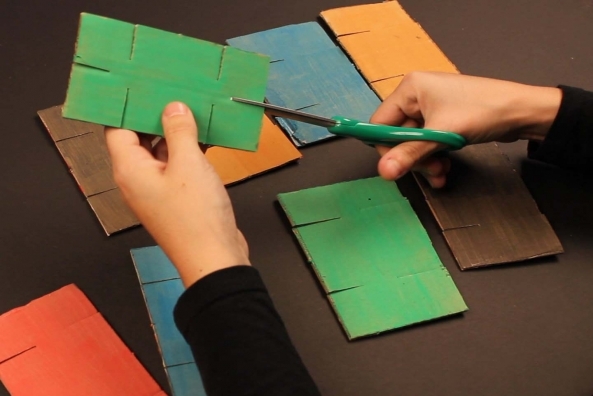 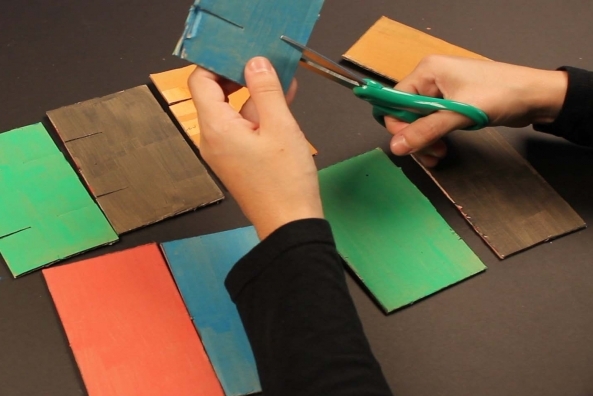 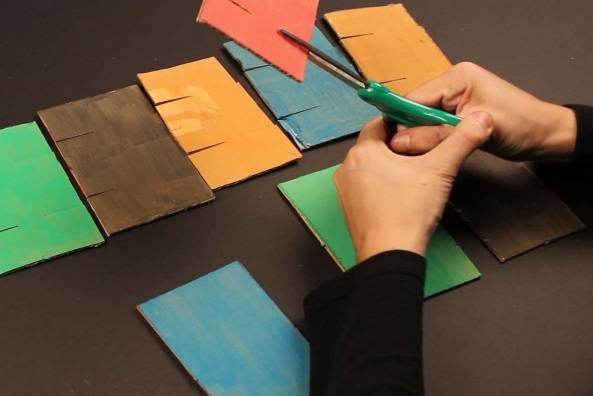 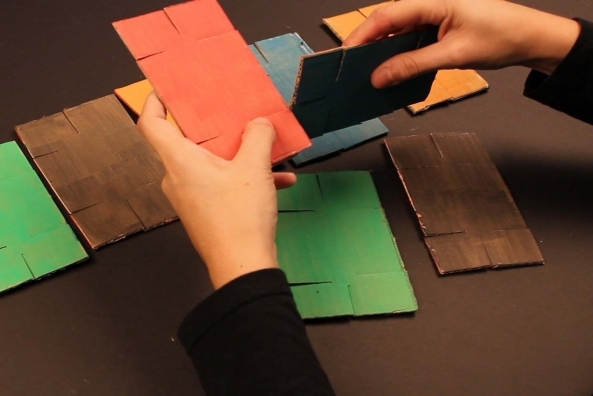 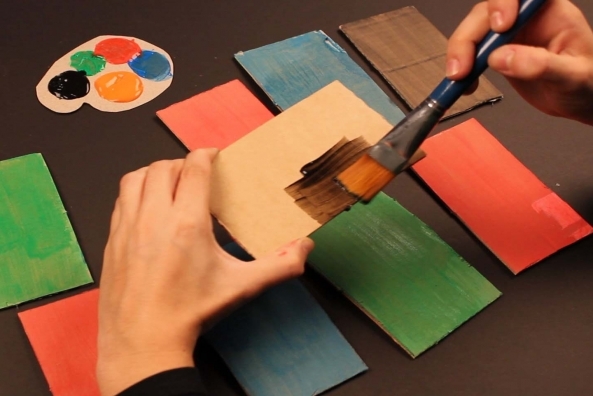 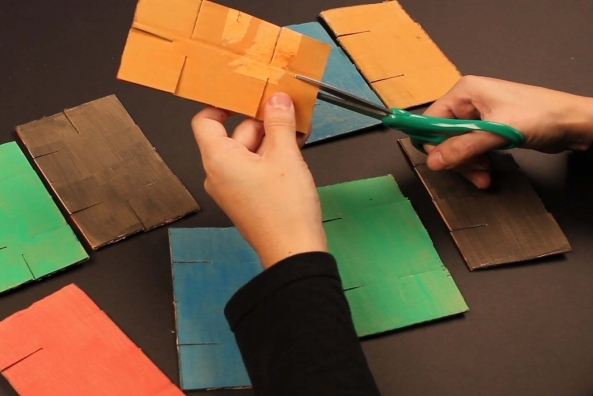 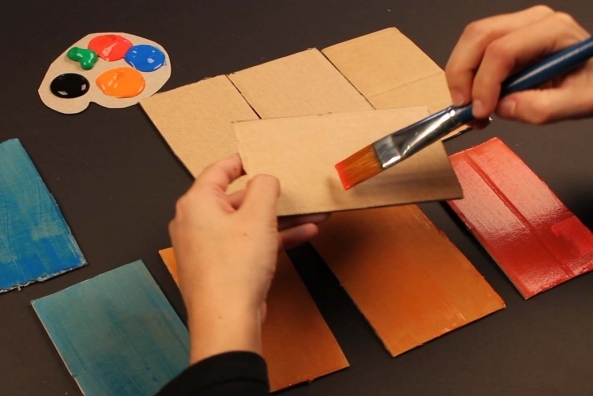 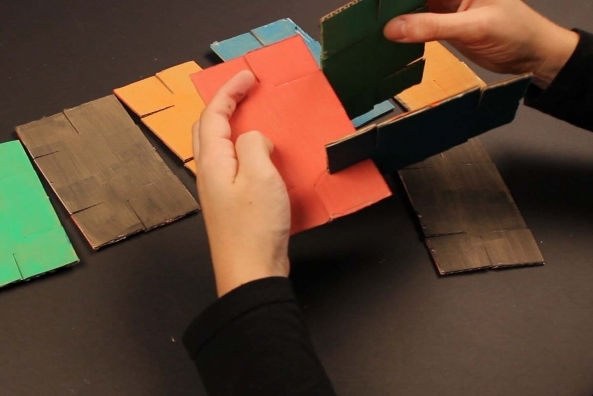 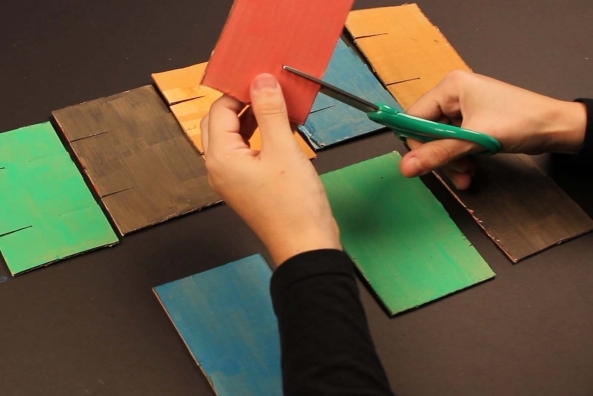 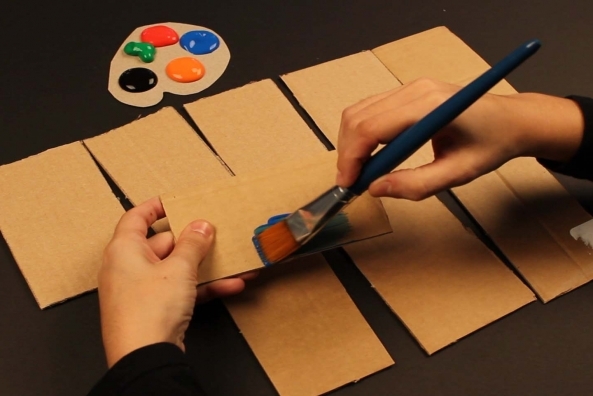 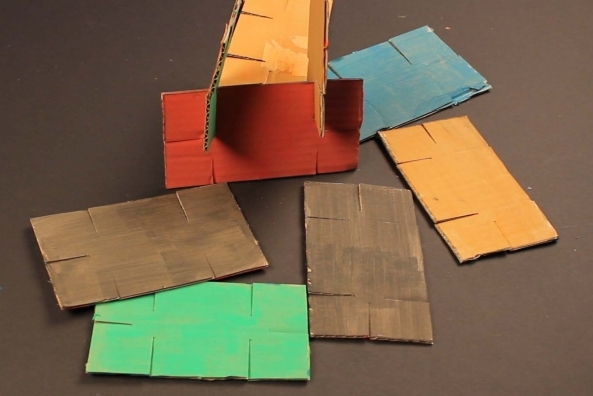 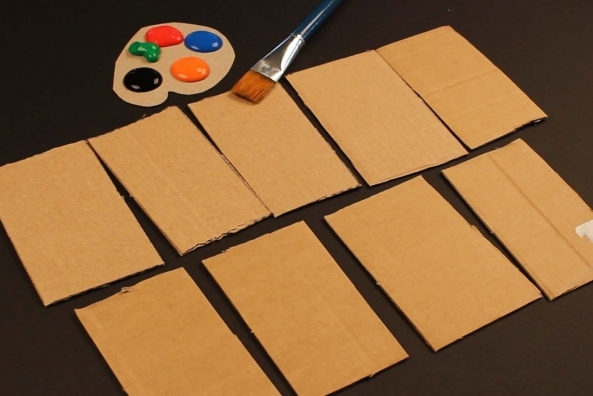 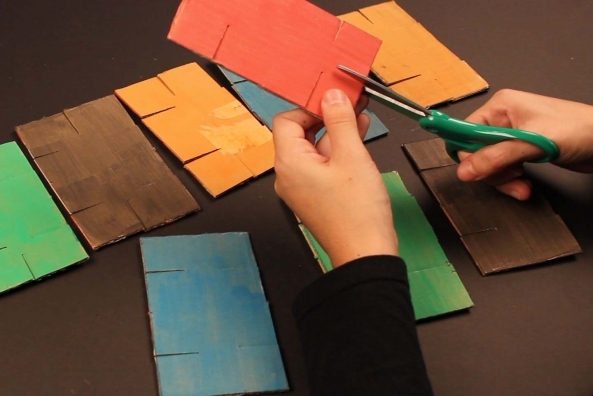 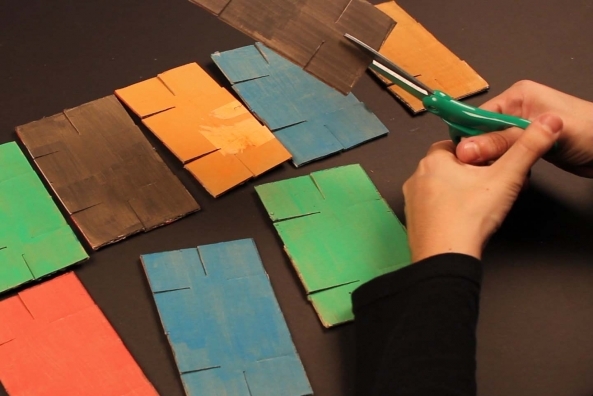 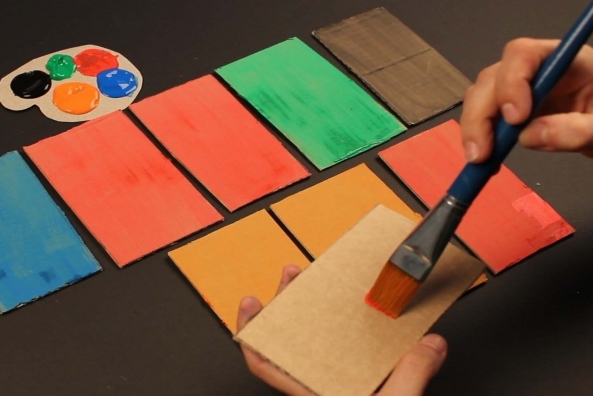 Take everyday cardboard and turn it into a fun new collection of building card! 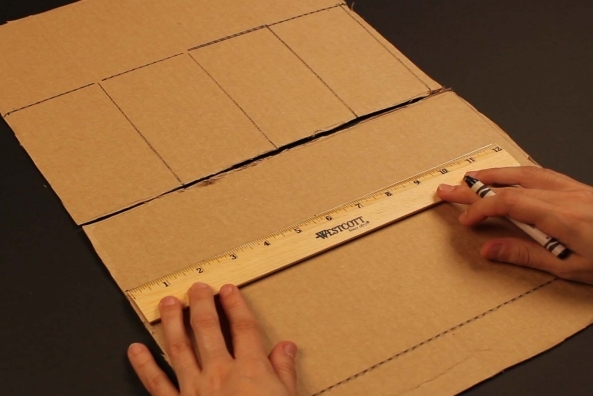 What will you build? 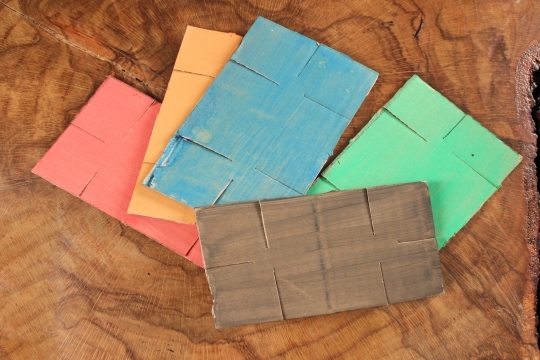 Get some good ideas of how to build with your new blocks from this book. 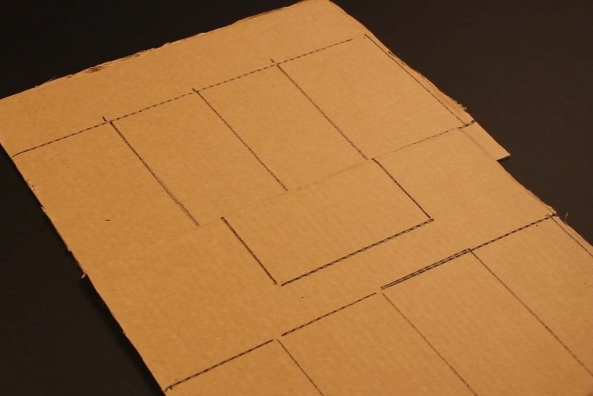 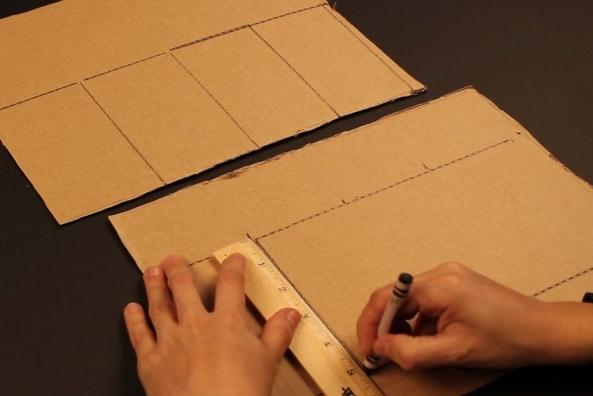 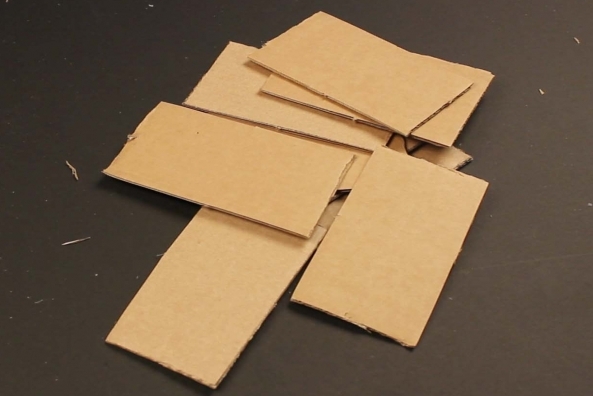 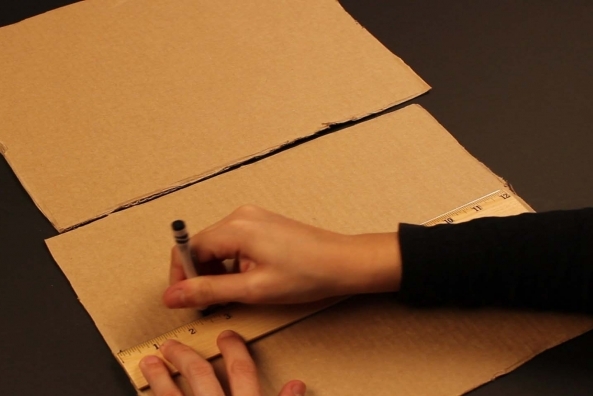 Trace nine rectangles that are all the same size onto corrugated cardboard. 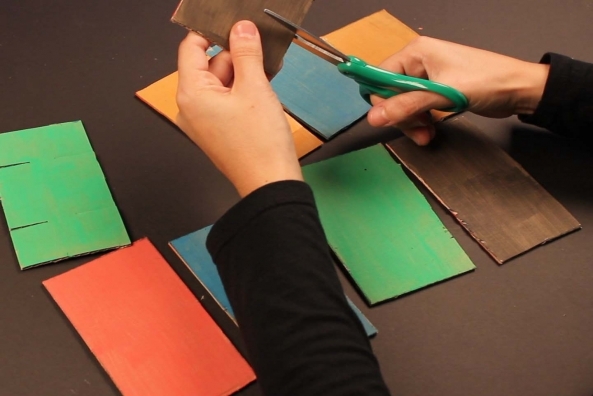 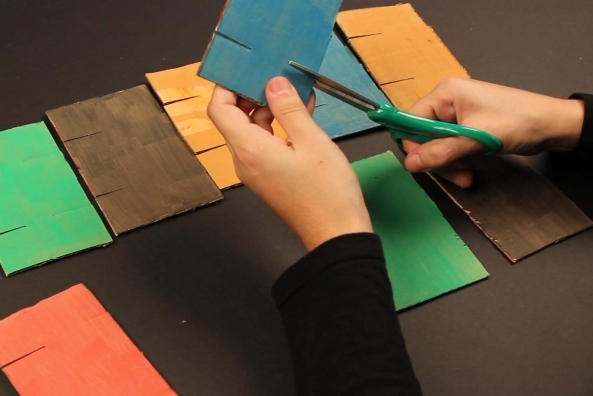 Carefully cut each of these rectangles out. 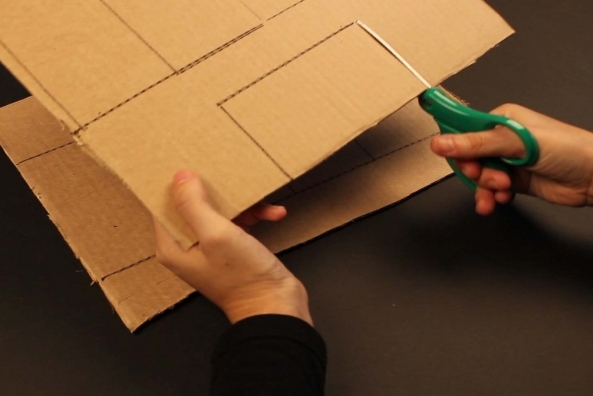 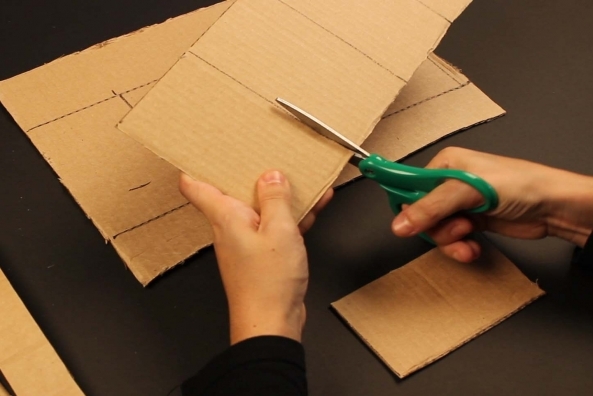 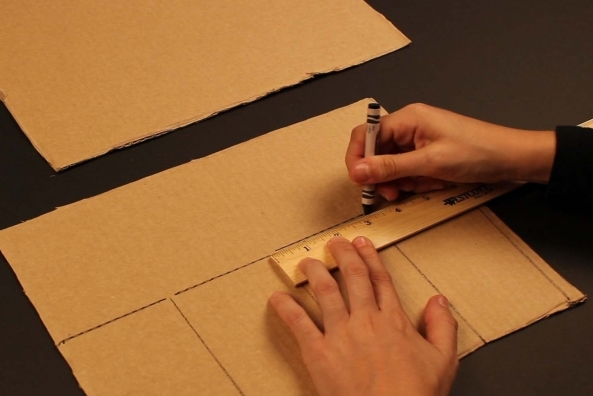 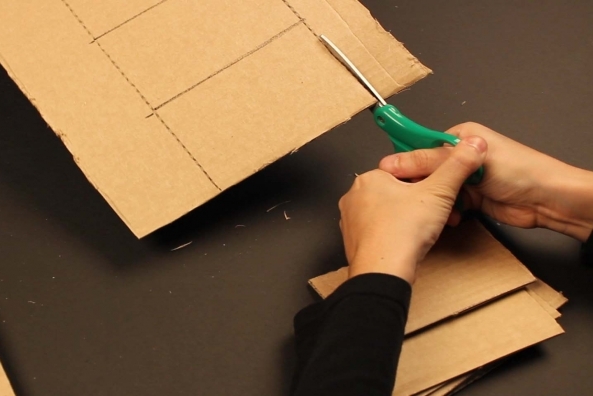 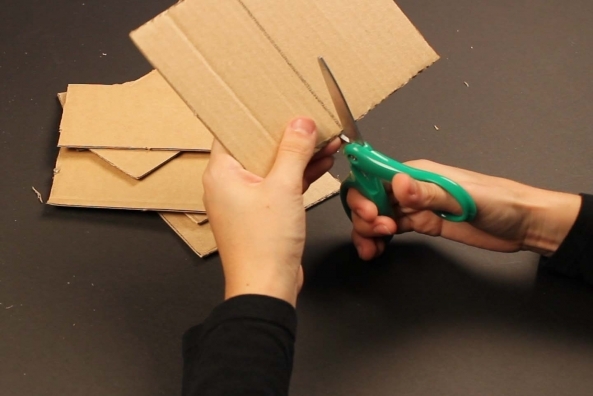 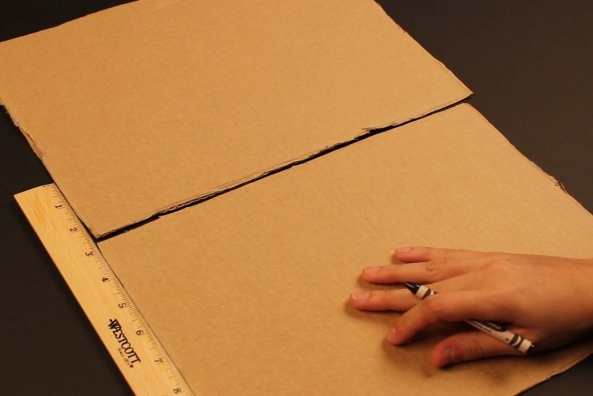 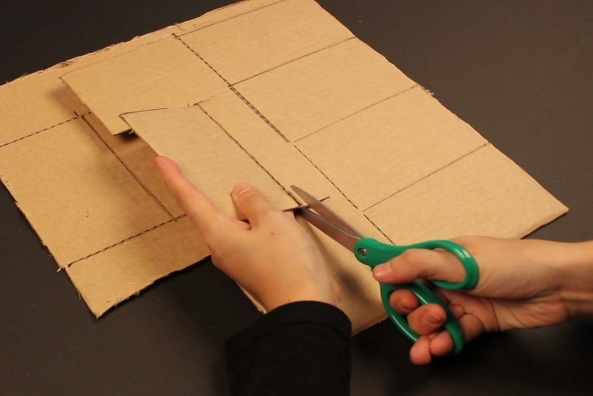 You may need an adult’s assistance because something this cardboard is difficult to cut! 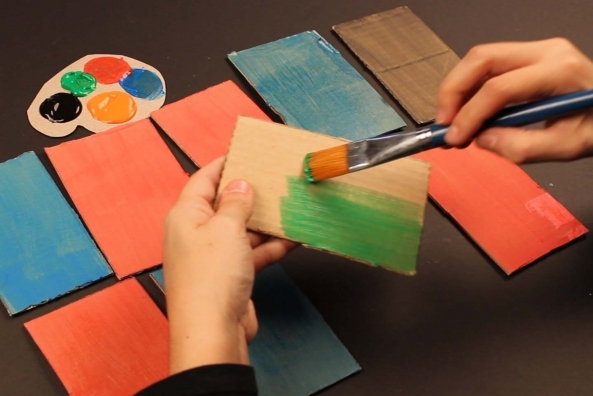 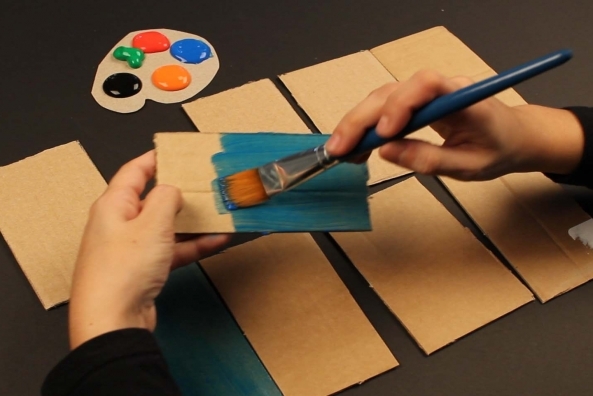 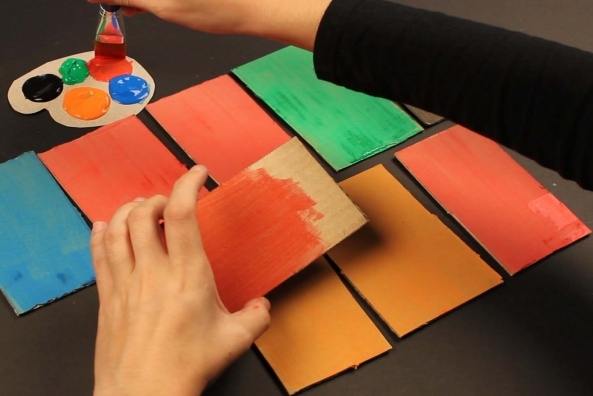 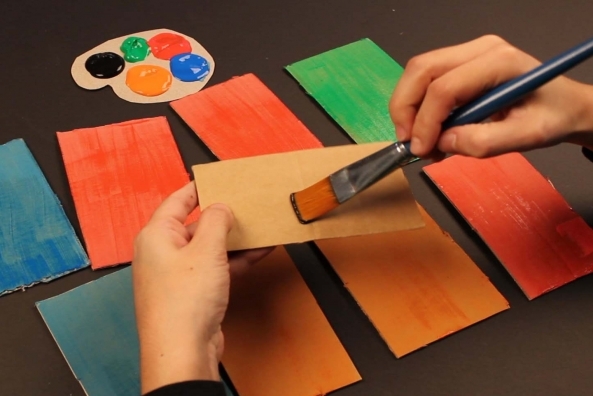 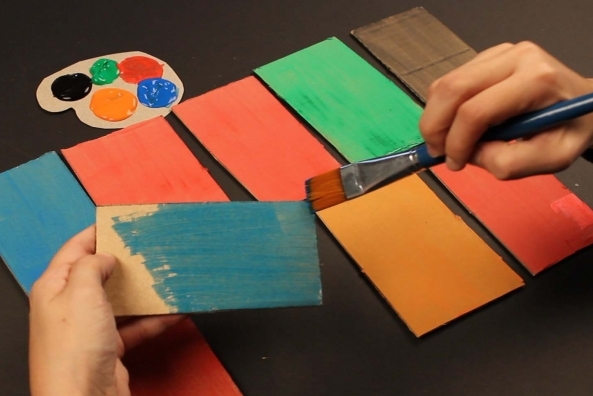 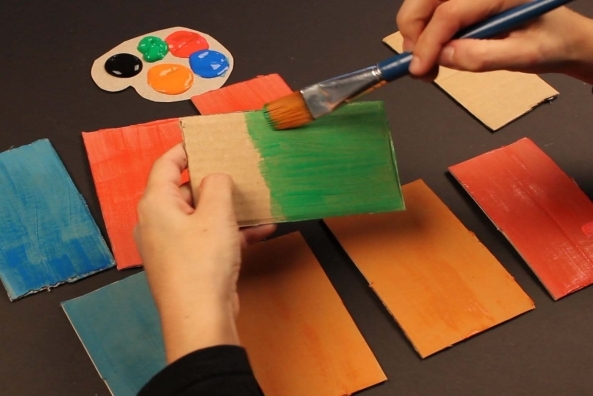 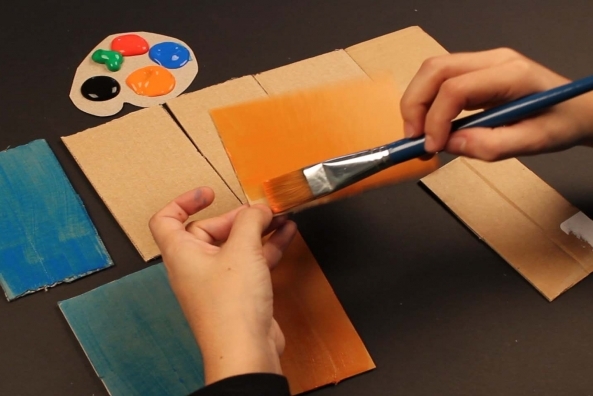 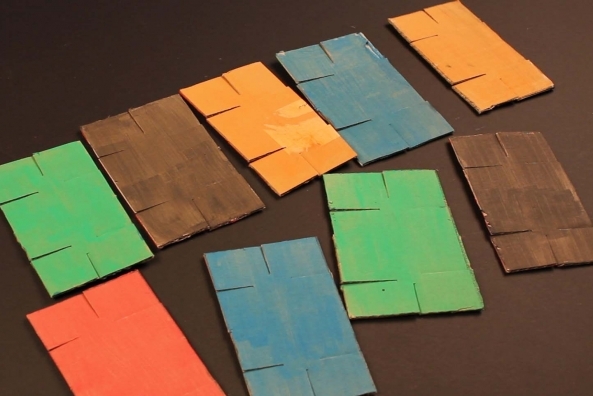 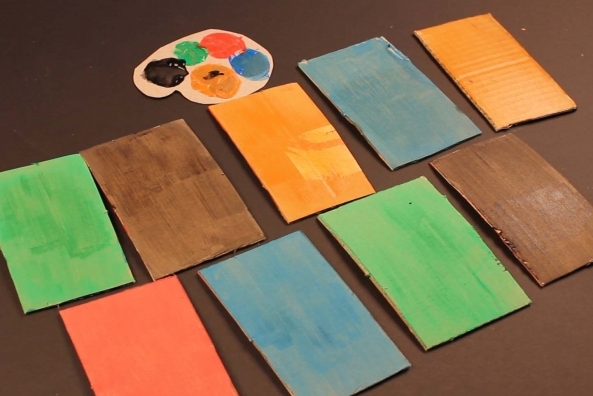 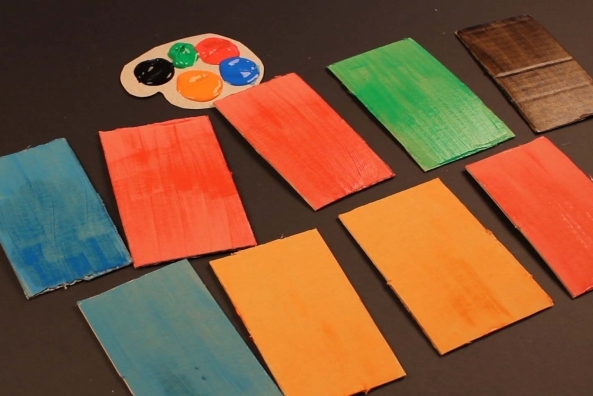 Paint each piece on one side and let them dry completely. 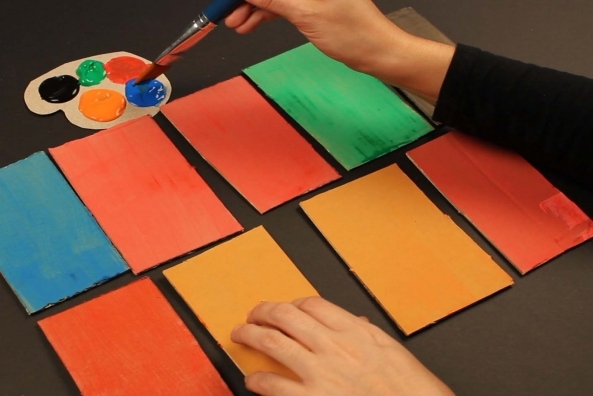 Paint each piece on the other side and let them dry completely. 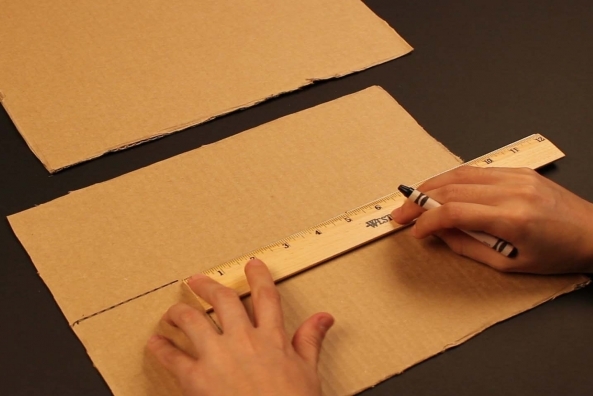 Cut two slits around one or two inches long onto each long side of the rectangles. 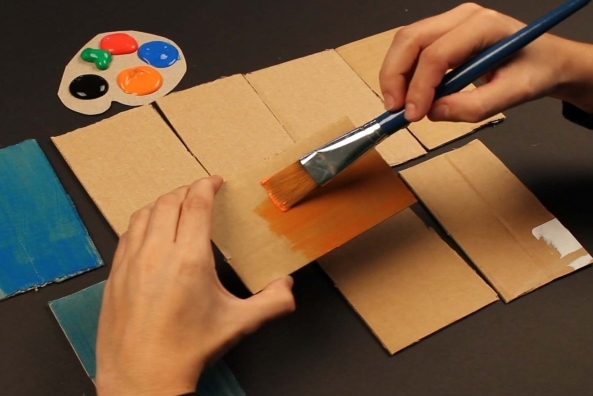 Cut one slit in the middle of each shorter side of the rectangles. 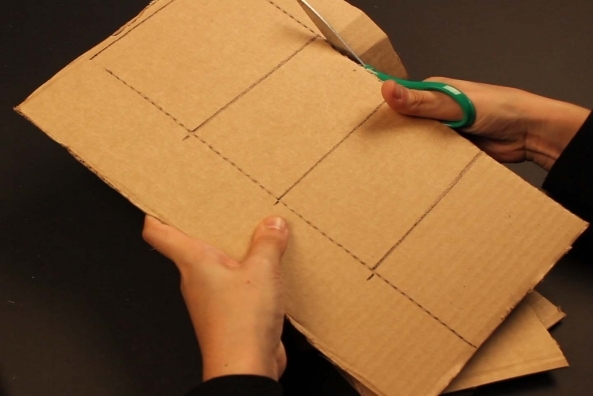 To use: Slide the rectangles onto each other by connecting the slits!